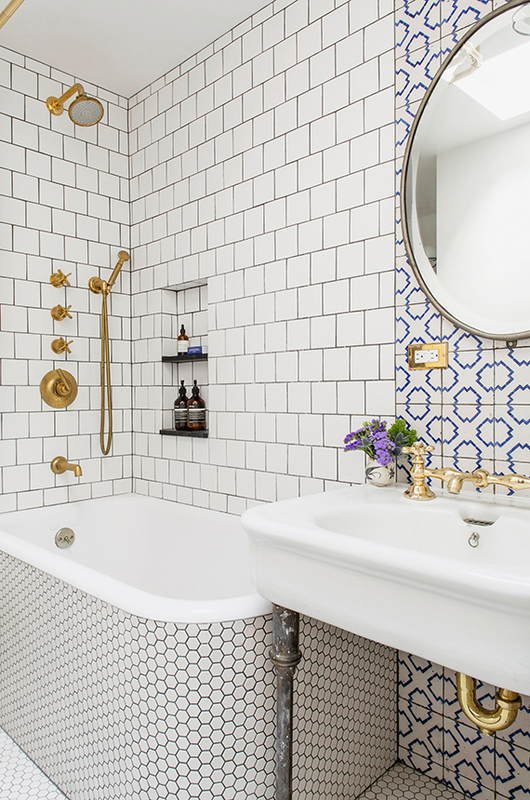 Baths have an evocative sound to them. 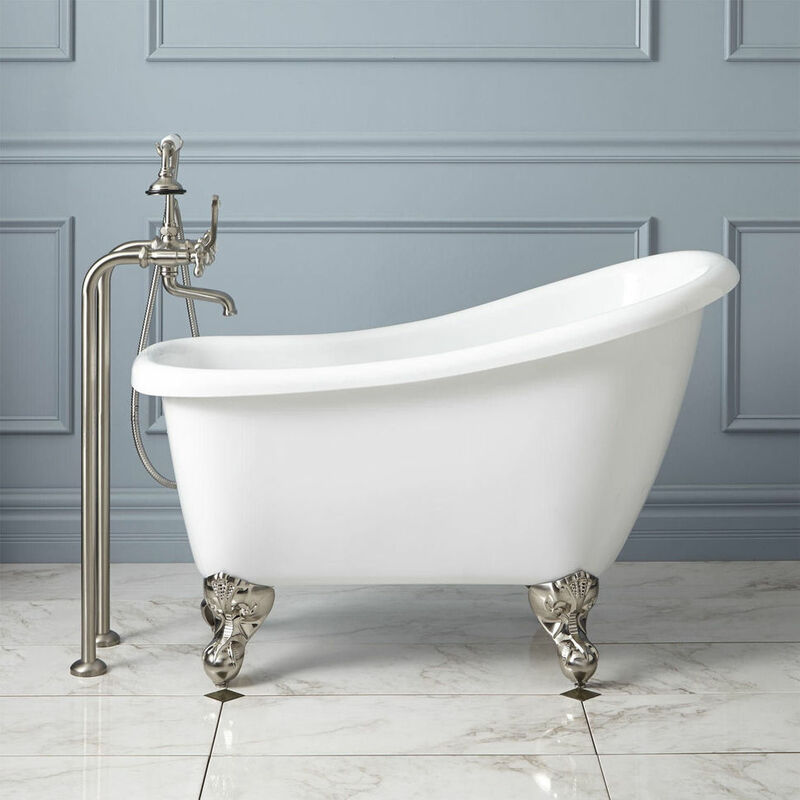 Perhaps because from time immemorial, baths have been a lot more than a hygienic activity. Ancient Egyptians bathed twice a day as a religious ritual to honour Isis. Romans used their public baths as social hubs and spent several hours in them with wine, women and friends. Cleopatra is said to have done her best thinking whilst soaking in her honey and milk bath whilst Agatha Christie constructed her plots eating apples in a large Victorian tub. No wonder Sylvia Plath said “There must be quite a few things that a hot bath won’t cure, but I don’t know many of them”. 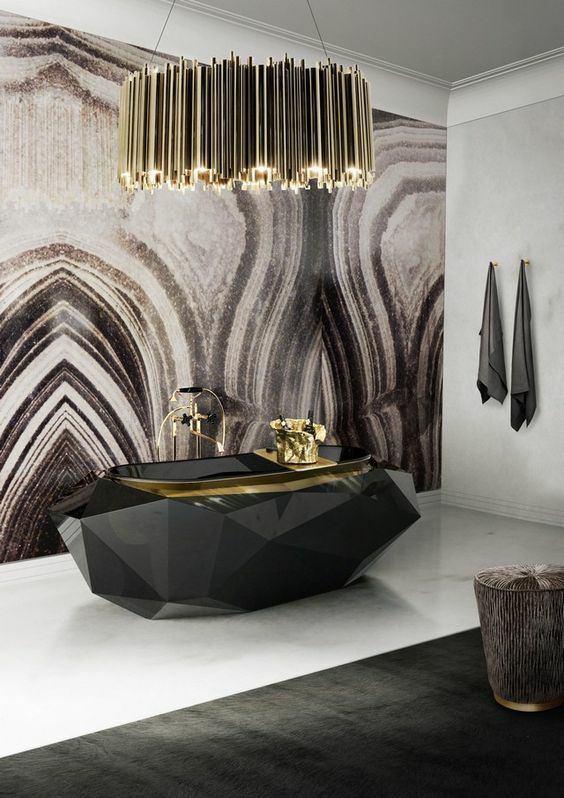 When two people, very much in love with each other asked me to design a bath for their new home, I decided to create a space of fantasy. A space for Beethoven’s moonlight sonata, candles, fresh flowers, a bottle of vintage Krug and loorve. Not just a fantasy, I also wanted to create something that was ultimately luxe and uniquely their own. I searched my mind for the most impressive spaces I’d ever seen – not the type to evoke instant wow, but timeless classics. And with that came to mind Sheesh Mahal at Amer Fort in Jaipur. This room, as you may know, is embellished with thousands of convex mirrors inlaid into the walls and ceilings and is often referred to as the “glittering jewel box in flickering candle light”. I brought artisans from Udaipur to do the mirror-mosaic inlay on the walls and ceilings of the area marked for the walk-in-bath and chose a classic Mughal floral motif as a symbol of harmony and ever-lasting beauty. 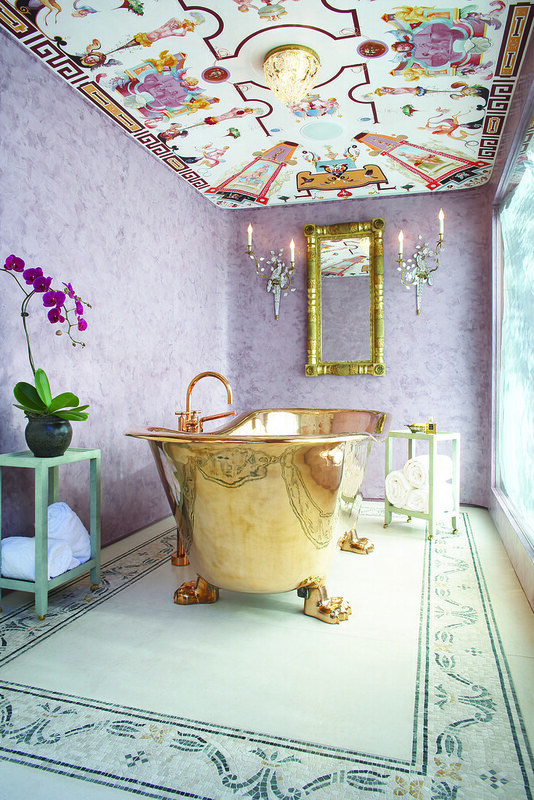 The bathtub too needed to belong and since royalty in medieval India bathed in copper tubs (for its medicinal value), I commissioned artisans in Muradabad to create a stand-alone, claw-footed copper tub with mirror-mosaic skirting. I decided to nickel-coat the copper not only for easy future maintenance but also because black finishing gave the tub a contemporary edge which helps this very traditional walk-in-bath to fit effortlessly with the contemporary bedroom in which it sits. Just as a carefully selected luminous objet d’art would fit in a minimalist room. Custom made walk-in-bath and bathtub using traditional Indian architectural techniques. Designed by Chanda Chaudhary, a luxury interior stylist and author at Love, Life & all things Spinning. 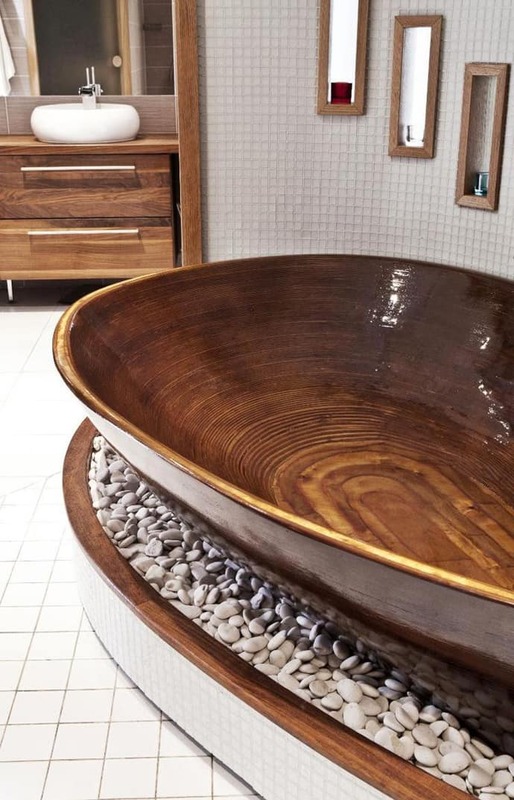 So, without further ado, here is a gallery of 15 stunning bathtubs. 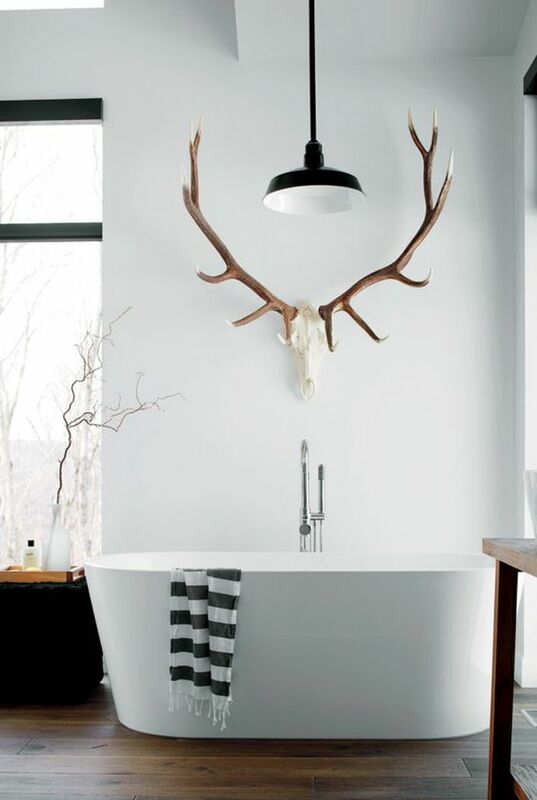 In case you are looking for more inspiration have a look at my pinterest board which has 100+ dreamy bathtub ideas to fit almost any kind of space or mood. Here’s to finding pleasure in every-day living, to love, life and all things spinning……. Mirror Mosaic Walk-in-Bath is designed by Chanda Chaudhary, author & founder at Love, Life and All Things Spinning and is subject to copyright. Pictures by Shivani Gupta. All other pictures are credited to respective source(s) to the the best of author’s knowledge. No infringement is intended.